In addition to being a JSSA Hospice volunteer, Harriet is a member of JSSA’s Advisory Council and recently completed her term of office on the Board of Directors. She has served on the Executive Board and the Community Outreach Committee, assisted with New Board Orientation, and co-chaired the Annual Spring Benefit in 2010. Harriet holds a BA from the University of Pennsylvania and an MBA from Pace University. Early in her career, she was vice president at a specialized executive search agency in New York City and then worked with Dorot, a social service agency assisting the Jewish elderly in Manhattan. Prior to moving to the Washington area, Harriet and her husband, Randy, lived with their two sons in Brussels, Belgium for six years. Harriet has tutored Russian immigrants in English and citizenship and now teaches English as a Second Language to adult immigrants at the Washington English Center. She serves as secretary of the Board of Directors at Temple Micah and co-chairs the Hineni Committee, which provides services and assistance to congregants in need. She also serves on the Board of Directors of backStorygroup, a new nonprofit organization created to promote Israeli-American understanding through storytelling, collaboration and the arts. “I can’t imagine living without giving back to those who can benefit from it,” says Harriet of her untiring work on behalf of so many community organizations. She is equally committed to JSSA’s future and has joined its Legacy Society by naming the agency a beneficiary of her Individual Retirement Account. 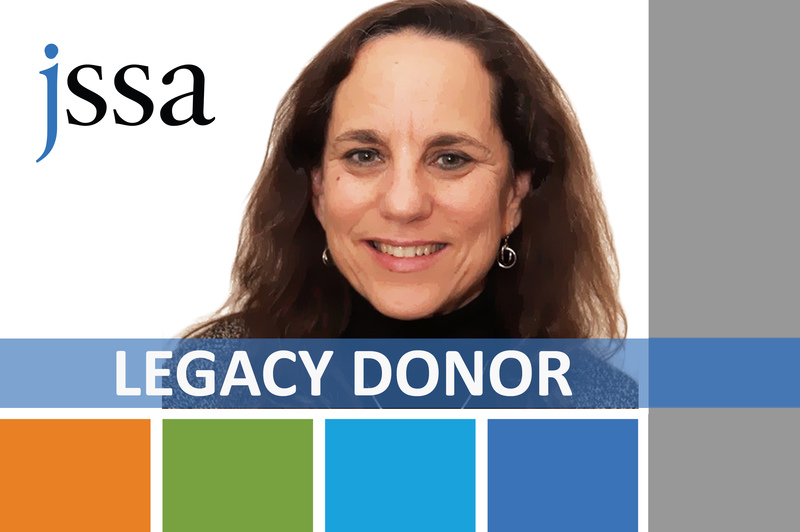 Learn more about how you can remember JSSA with a gift in your will, trust, retirement account, or life insurance policy by contacting Pamela Spears, Director of Major Gifts and Planned Giving, at 301-610-8344 or pspears@jssa.org. Always consult an attorney or tax adviser when planning your estate. Click here to read more donor stories.